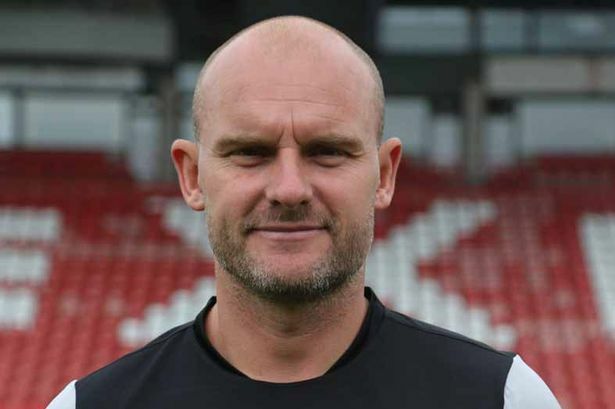 Recent arrival Michael Oakes, who joined the club as Goalkeeping Coach following the departure of Steve Hale, has spoken to the local press and welcomed the opportunity to return to the West Midlands. Speaking via the Express & Star Oakes said; "It’s fantastic to be here. It’s a great opportunity for me and I’m looking forward to the challenge. I’m obviously well-versed in Midlands football having spent a lot of my career in the Midlands. "It’s a great place so it’s great to be coming back and to work with Dean, who I’ve worked with before and I know how dedicated he is. We had a really good team staff-wise at Wrexham and a fair bit of that has transferred down to Walsall. I’ve played at Walsall myself many times and it’s a great club. Hopefully we can take the club forward." The Northwich-born former goalkeeper began his career with Aston Villa, where he progressed through the ranks to turn professional in 1991. After eight years, sixty-one appearances and a long list of loan moves Michael left Villa Park and joined Wolverhampton Wanderers. Michael soon became first-choice 'keeper at Molineux and would go on to make over two-hundred appearances for Wolves over the next eight years. He was released on a free transfer in the summer of 2007 and eventually penned a one-year deal with Cardiff City, making fifteen appearances before retiring at the end of the 2007/08 campaign. Oakes had two coaching spells at the Racecourse, the first lasting seven years between 2008 and 2015. The second beginning in 2017 and coming to an end just weeks ago.